Primephonic Downloads review | What Hi-Fi? Primephonic’s catalogue might be slightly limited in its focus, but it wears it like a badge of honour. Love classical music? Then this is the hi-res download site for you. But it is trying to be more than that. In its own words, it aims to be a “rich, ever-evolving source for classical music lovers”. Primephonic is keen to create a community of classical fans, allowing you to create your own profile to talk to other members, comment and share news articles, as well as offer up features on different periods and artists to help you expand your knowledge and discover something new. It’s a really well designed website, with easy navigation, striking visuals and clean typography that keep it interesting to explore. It’s refreshing to see classical music given such a modern twist. The calendar is another nice touch. It gives you an insight in to births, deaths, milestones and memorable moments that happened in the classical world on this day throughout history, alongside links to related music and articles that could keep you clicking for hours. The non-musical content available on the site is really quite impressive. Of course, it wouldn’t mean much without an equally impressive catalogue and Primephonic doesn’t disappoint. It currently says it has tens of thousands of tracks available from CD-quality all the way up to 24-bit/192kHz, as well as DSD files too. Some albums are even available in surround sound. Each album has a write up from Primephonic itself, as well as any press quotes, and a whole host of related content, from suggested music to reviews and news articles. This is a classical fan’s playground. There is a more specific search function, of course, which allows you to tailor your search results to get to precisely what you’re looking for. You can search by term, or filter down by artist, composer, period, conductor, release year or sample rate. You can sort results by release date or price, choose to focus on popular albums, new releases or those on sale. With so many albums to choose from, these options come in mighty useful. Prices are hard to compare with other sites as much of the content available isn’t replicated elsewhere, but they seem reasonable enough. Standard length albums in FLAC come in between £10 and £15, with longer symphonies costing £20 and above. Where available, DSD files are usually pricier. A nice touch is that you are often able to buy individual symphonies (and the like) from a pricier full collection, as well as single tracks too, giving plenty of flexibility to users on a budget. Downloads are handled using Primephonic’s own download manager (unless you’re happy downloading one by one). It shows some instability and crashes on us a few times, but with a little persistence we are able to download our purchases. 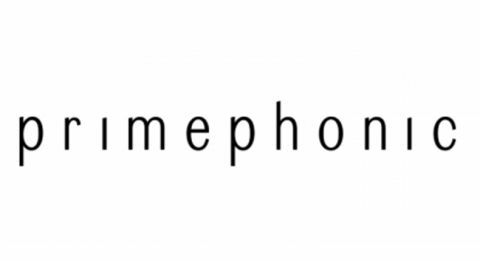 However, Primephonic is still a relatively new company, and we’d expect any teething issues to be smoothed out over time. We download a mixture of music, from big orchestral pieces to guitar sonatas and find the quality to be consistent across the board. We are able to compare a Nielsen symphony to the same recording on B&W’s Society of Sound and find that there is perhaps a touch more focus there. That said, Primephonic’s airy demeanour makes for a delicate, detailed listen all the same, with plenty of space for dynamics to breathe and develop. Primephonic might be narrow in its focus, but there’s no doubt classical fans will find it wide in its appeal. With a great catalogue, superb website and useful extra content, not to mention a growing community, it is much more than just a download site. It doesn’t have the larger, more eclectic catalogue of 7digital, but it’s not trying to. Its aim is to be both a source of classical music and a community for fans of the genre. From our experience, we’d say it has succeeded on both counts.